Cosmetic dentistry – enhancing the smile is easy with cosmetic dental services. A wide range of treatments can be selected and integrated into a dental treatment plan. Procedures can be done during one visit over several appointments. 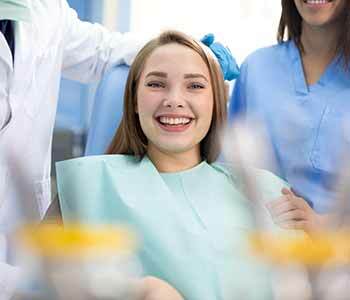 Mercury safe dentistry – patients who want to have their silver amalgam fillings removed can find the safe removal of their filings with Dr. Janet S. Stopka. The follows the standards set forth by the IAOMT for safety and effectiveness. Invisalign – instead of using the traditional bracket and wire braces to address misalignment, our team offers an alternative called Invisalign. This clear aligner tray therapy offers similar results without the unsightly orthodontia. Porcelain veneers – covering imperfections with facings called veneers is a great way to address staining, chipping or misalignment of teeth near the front of the mouth. Root canals – saving the natural tooth instead of extracting it is a great way to keep the smile in good health. Root canal procedures are regularly done in our practice and sedation is available. Crowns and bridges – restorations such as crowns and bridges are commonly used in biological dental practices. These restorations are fabricated from porcelain, which closely mimics the appearance and function of natural tooth enamel. Dental implants – the placement and restoration of dental implants can replace missing teeth within the smile in a permanent manner. Gum disease – prevention, diagnosis, and treatment of gum disease (periodontal disease) can be done right in our practice to keep the smile healthy. Dr. Janet S. Stopka and her team are ready and willing to assist families in the area of Burr Ridge, Illinois. Contact her biological dental practice today at 630 756-5844.